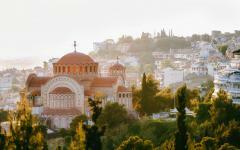 Bask in the company of Greek gods as you visit enchanting Greek villages during your customizable best of Greece tour. Idle away the hours in the splendor of cascading rivers and cobbled lanes, lush olive groves and glassy bays turning the mythical beauty of the Pelion Peninsula into reality. A single-gauge railway ambles over classic stone bridges, and 19th-century mansions emerge from the dense forests of chestnut trees. 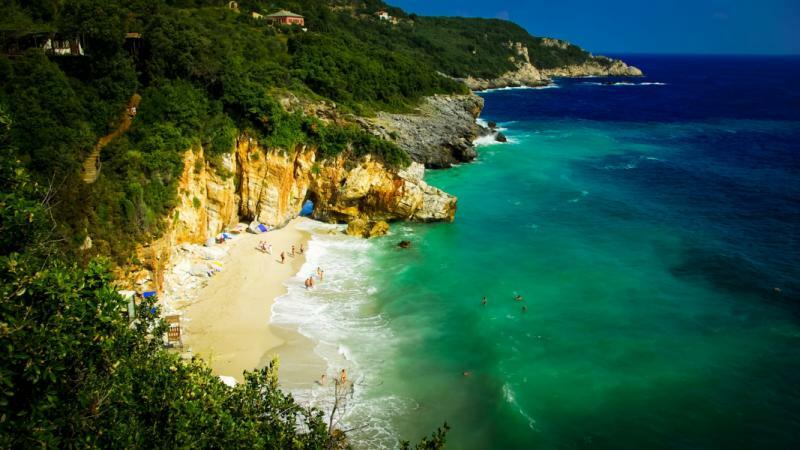 Whether trekking through steep gorges or savoring time on the dreamy beaches, you will find the perfect summer destination in the shade of Mount Pelion encompassing the best of Greece’s illustrious charm. 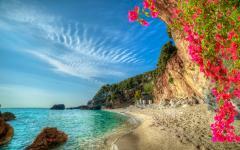 Begin planning your ideal Greece vacation by visiting the best Greece vacation packages page on Zicasso. Dramatic mountain peaks run alongside rugged cliffs that plunge into the sea encapsulate the grandeur of the Pelion Peninsula. Coils of woodlands and wild olive groves, whitewashed houses and pebbled beaches will adorn your captivating 8-day Greece tour that will immerse you in the beaches, countryside, and culture. Step away from the crowds along the Cyclades for a more authentic and illustrious view of Greek heritage on the Pelion Peninsula, where the natural beauty of the landscape sweeps across the northern peninsula to the neighboring islands where villages are tucked into the foliage with surprising elegance and wonder. 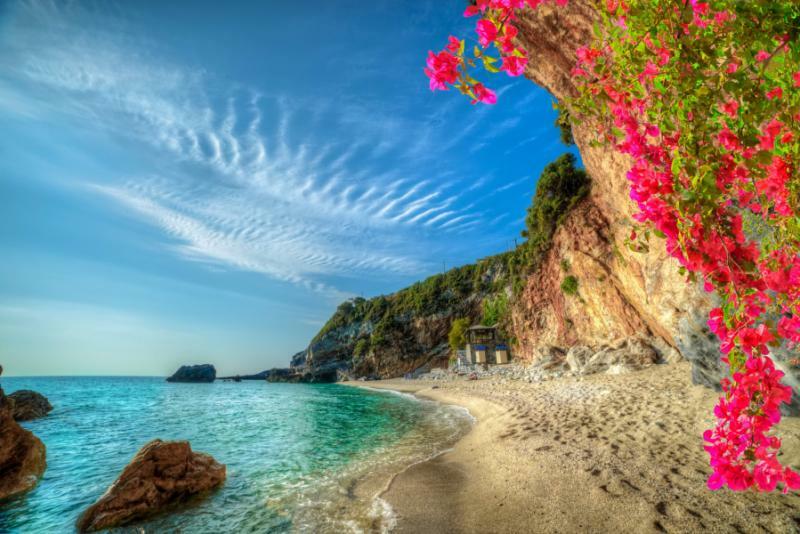 Follow in the footsteps of Greek gods that legend says vacationed along the Pelion Peninsula in the summer, crossing their footpaths, wandering the mule paths, and relaxing in the majestic slopes and coastline. 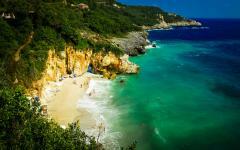 Your refreshing tour of Greece will begin with five nights in gorgeous Tsagarada, one of the 24 villages situated along the hills of Mount Pelion. Trek the pathways that connect the various towns and villages with each offering their own distinct culture and traditions within the broader umbrella of a Greek nation. 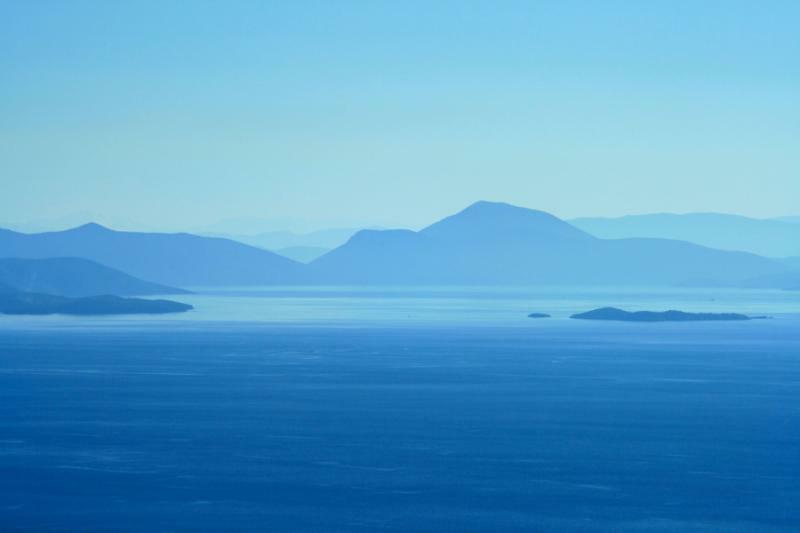 Vistas overlook the Aegean Sea as narrow trails lead through beech, oak, chestnut, and olive trees to reach famous beaches, secluded coves, and a ferry bound for the shores of Skopelos Island. 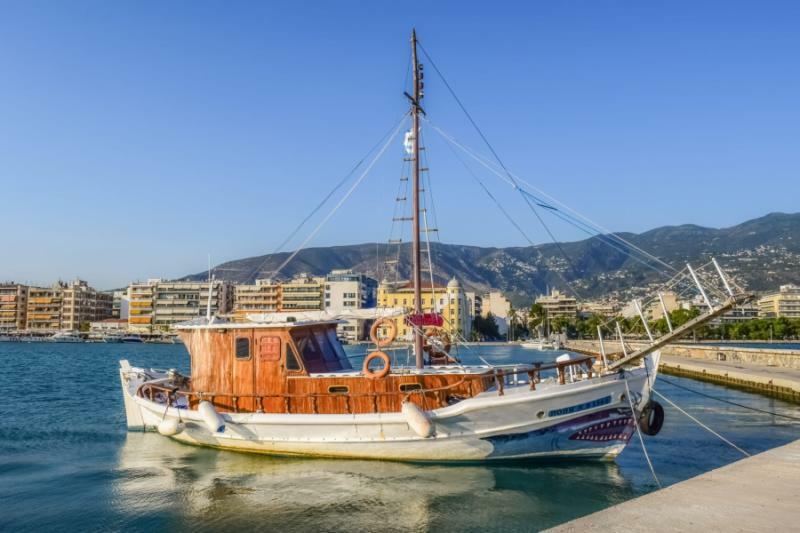 Two nights in the city of Volos will highlight the more contemporary culture of the region and its continued connection to classical mythology, medieval history, and natural beauty. The nearby town of Ano Lechonia connects with the village of Millies by an antique steam train while frescoes and hand-carved iconostases decorate the historical churches. Ancient cities connoting the first permanent settlements on the European continent emerge from the landscape proving the depths of history, culture, and charm on the Pelion Peninsula are unparalleled. 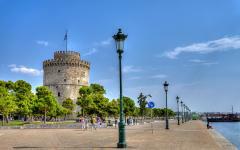 Consider learning more about our travelers’ best Greece vacation experiences by reading their Greece travel reviews. 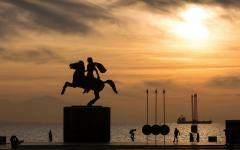 Greece welcomes you with vibrant streets and a captivating ambiance that spreads across the sea views of Thessaloniki, the country’s second city. 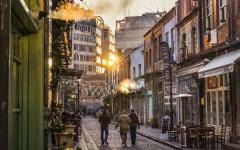 The neighborhoods are more like villages as they each showcase a different culture inside the greater metropolis ranging from the antique walls of the Byzantine era to the fourth-century monument of the Arch of Galerius, the cosmopolitan shopping center of Egnatia and the contemporary cocktail bars along the waterfront. 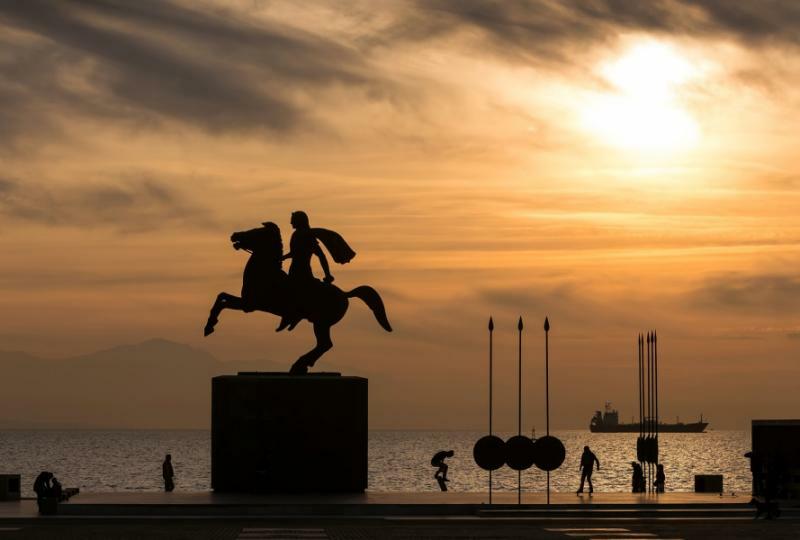 Your flight will land at Thessaloniki Airport, where you will pick up your car rental and drive to the charming town of Tsagarada on the Pelion Peninsula. As you drive along the coastline, the marvels of Greece will reveal themselves the shape of crystal-clear turquoise water lapping against a blend of pebbled and sandy beaches. You will arrive at your luxurious accommodations in the treasured village of Tsagarada as it rises out of the chestnut wood forest. 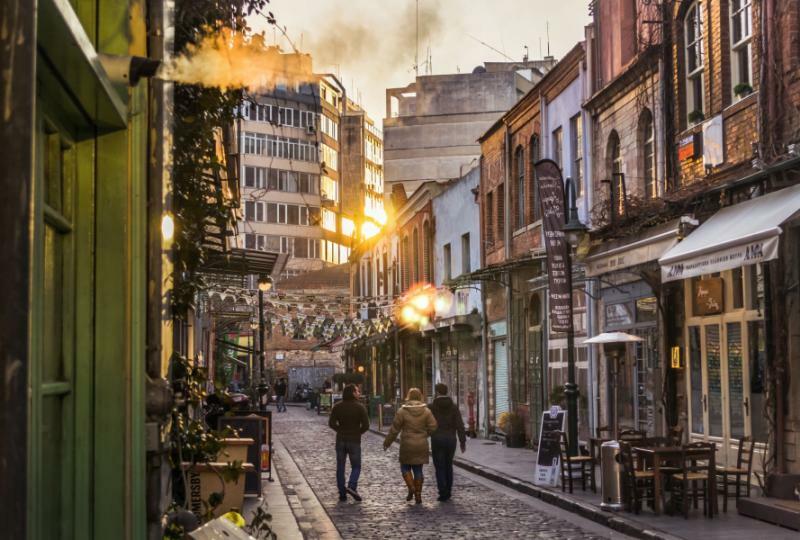 The cool climate creates an inviting feature fading beneath treasured flower garden houses and imposing 1,000-year-old plane tree looming in the heart of the central square. The town was founded in the 16th century and attracts locals and visitors alike with the promise of relaxation and beauty. In the morning, the scent of freshly brewed Greek coffee fills the dining room of your hotel blending with the refreshing aroma of the chestnut trees surrounding the village. You will wake before the summer heat has a chance to spread across the lowlands of the region and venture to the foothills of Mount Pelion. The slopes soar above the region like a sleeping giant once calling to the gods of Olympus as their summer vacationing spot due to the natural splendor and refreshing climate. The peak reaches an altitude of 5,282 feet above sea level boasting 24 unique villages scattered around the dense greenery, shuffling waterfalls, and crystalline waters. Trekking the trails along the slopes of the mountain are the best way to experience the glory of the scenery at your own pace so that you can embrace the trickling sounds of rushing water and birds twittering in the trees. Locals enjoy the wild mushrooms growing along the roots of the trees and the refreshing cooler weather of the higher altitude in summer. The main allure of the mountainside is the collected villages showcasing the culture of Pelion and the splendor of the greater region leading you along the forested grounds to a coastal path. As you walk along the pathway, wildflowers fill the air the aromas of sage, strawberry, and yellow crocus while foxes, hedgehogs, and boars burrow into woodlands. Apple trees dangle their fruits over the verdant forest floor as you follow the cobbled 17th-century path to Damouchari Beach. The tranquil setting acted as the backdrop for the popular Mamma Mia films and may feel familiar as the harbor leads onto the clear azure water away. The sound of small waves crashing against the rugged coastline echoes over the white pebbles as the remains of the historical castle and Ottoman warehouses provide a historical atmosphere highlighting the reward at the end of your trail. After breakfast, you will make your way outside of Tsagarada once more, this time bound for a day of exploring more of the village around the Pelion Peninsula beginning with Mouresi. The elegant settlement has a population of less than 2,500 people spread across a municipality of nearly 21 square miles at 2,600 feet above sea level. Mouresi is one of the oldest villages on the peninsula and was erected on a dry riverbed within view of the glistening waters of the Aegean Sea. The Church of Agia Paraskevi was erected in the eighteenth century, while the main square hosts a collection of lime trees shading the cobblestone path leading to Agia Triada, the oldest church in the municipality. 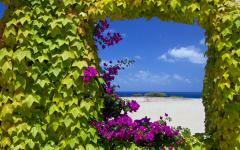 Tsagarada is famous for its beaches, often hidden behind the dense vegetation of the forest. Spend the remainder of the day relaxing in the soothing ambiance of East Pelion at Fakistra. The crystalline turquoise water has a shallow depth and placid movement isolated by two rocky capes feeling like an uncovered paradise set beneath the remains of an antique tower. 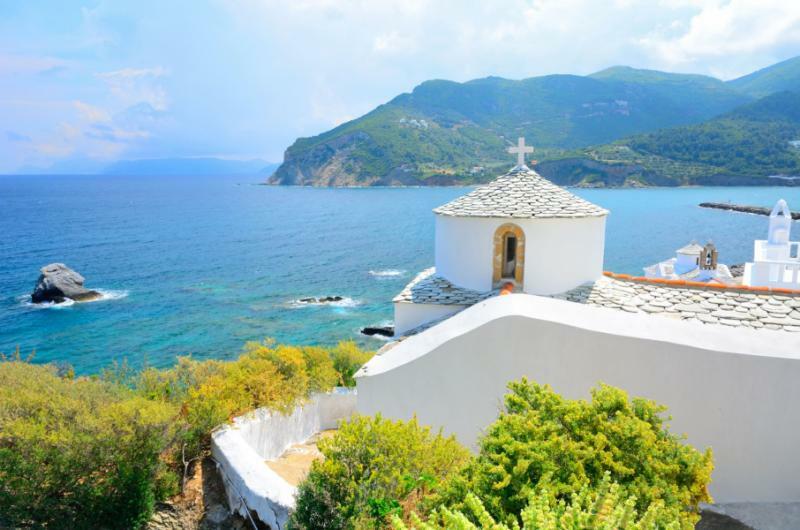 After breakfast, you will set out for a day spent on the quiet, overlooked island of Skopelos to bask in the pristine shores famous for acting as the island setting in Mamma Mia 2. You can take an easy ferry ride to reach the main port with a view of the beautiful mountains. 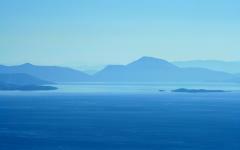 Local legend claims the son of Dionysus, the god of wine, founded the island accounting for the delectable wine produced on the secluded mountain slopes. Olive groves spread across landscape adding soft touches of greenery to the craggy foothills, and the scent of honey overtakes the aroma of crumbly feta cheese emanating from the boisterous tavern in the heart of town. Pine forests and oak trees spread across the interior of the island while the water shines with layers of turquoise, azure, and cobalt hues brushing against the 42 miles of coastline. 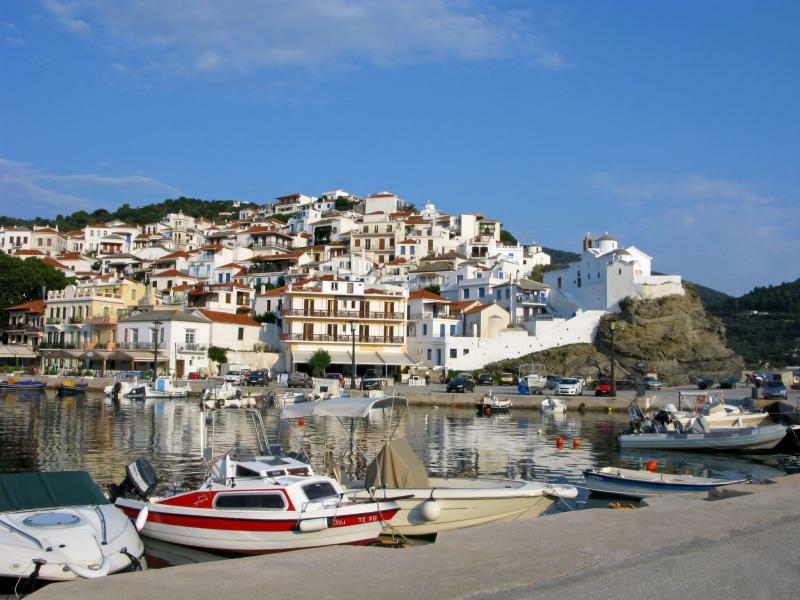 The main town of Skopelos boasts radiant neo-classical homes topped with stone or ceramic roofs and wooden balconies. Wandering around the island allows you a chance to indulge in a wine tasting sampling the evolution of Skopelos 4,000-year-old vinicultural tradition. 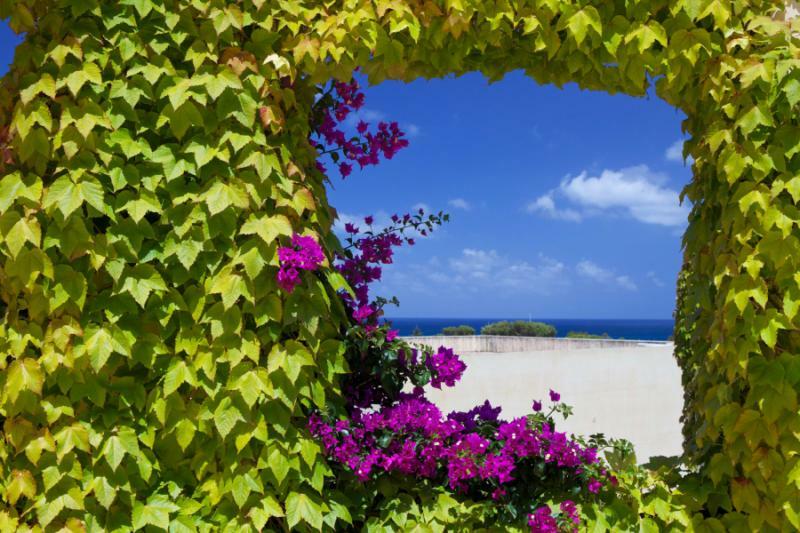 You can step into a local tavern to learn more about the specific island wine that is made from black grapes with aromas of cinnamon, vanilla, wood, and spices. Continue to the serene village of Glossa to wander the cobbled lanes that wind through the amphitheater design overlooking the shoreline at 820 feet above sea level. Fishing boats and ferries at the marina located beneath the reflective whitewashed homes take locals and villagers to the isolated beaches scattered around the island. The splendor of the Pelion Peninsula will continue to charm you as you visit three historical villages that are situated around the slopes of Mount Pelion beginning at Kissos. 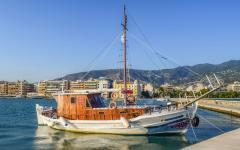 Plane and chestnut trees provide a mixture of sweet and savory aromas as you walk to the Agia Marina. 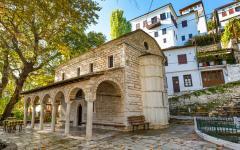 The structure was built in the mid-17th century during the Ottoman occupation of Greece and acted as a secret school. The carved screen on the altar acts as an example of intricate metalwork focusing on the golden decorative images highlighting both the delicate artistry and strength of the material mixing the metal with linden wood. Continue to Vizitsa, a traditional village that rises out of the forested landscape with traditional homes connected by cobbled pathways. Locals set out on hiking excursions or relax in the tranquil ambiance of the village until the streets burst into revelry during Feast of Agioi Anargyroi on July 1 and the feast of Ioannis Prodromos on August 19 of each year. Old mansions overlook the narrow lanes and the stone structure of Agios Ioannis retains its 18th-century charm and drama contrasting the seasoned beauty of the town. You will soon reach Zagora for insight into one of the most famous villages of the Pelion where a necropolis proves the existence of ancient settlements in the area. The markets brim with locally cultivated apples, strawberries, pears, and plums while cottages and antique houses reflect the importance of trade in the 17th and 18th centuries. Enjoy an adventure back in time when riding the steam train connecting Ano Lechonia to Millies. Residents of Ano Lechonia pride themselves on the legend of helping the mythical heroes, the Argonauts, while the contemporary village dates back to the 13th century. Less than a mile outside of town, a family museum displays the ceramic pottery traditions of the region, as well as offers demonstrations on the methods for making the tangible artwork with pottery molds, folk art, and stunning exhibitions. 700-year-old olive tree thrives in the landscape. You will board the steam train first opened in 1894 to cross the mountainous terrain cover a distance of 18 miles before reaching Millies. The picturesque village was built around the hillside like an amphitheater providing a distinct view of the lush slopes of Mount Dikri. Apple and olive trees grow on the outskirts of town while marble fountains stream with water in the public plazas. On returning from Millies, you will enjoy the scenic train ride crossing over the limestone five-arched bridge at Kalorama for a journey taken from a storybook. The waterfront fills with locals in the morning and the evenings bursting with fun-filled local life reflecting the largest city in the region close to the villages perched on the mountains and ambling against the sea. Fishing and sailing boats dock in the arbor alongside the city where pedestrians stroll freely in the absence of cars. Children and old men cast their lines into the water waiting for nibble from sardines or anchovies. At lunch locals enjoy the herbaceous flavors of tsipouradika, a local liqueur often served in small shops hidden in the narrow streets around town. The Archeological Museum hosts artifacts uncovered around the peninsula dating back to the Bronze Age with a focus on Neolithic settlements of Dimini and Sesklo. The gallery displays terracotta figurines, jewelry, and stone tools from what many believe to be the first settlements on the European continent alongside whole burial displays from the Mycenaean period. Outside of Volos sits the lovely village of Portaria facing the Pagasetic Gulf at 2,132 feet above sea level. The lush greenery of orchards and forest accentuate the colorful flowers growing in the pots around the winding streets. 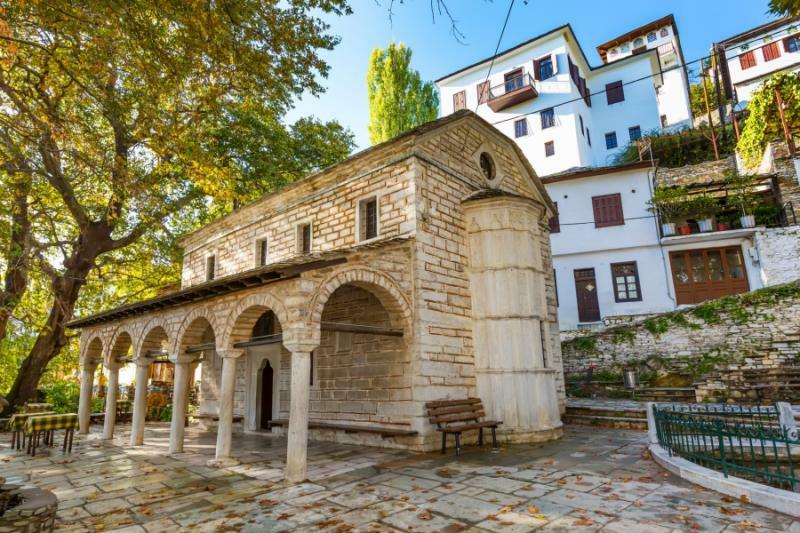 The architecture includes sophisticated colorful window frames in the typical Pelian style seen both on the homes and the rustic wooden sixteenth-century Panagia Portarea monastery. 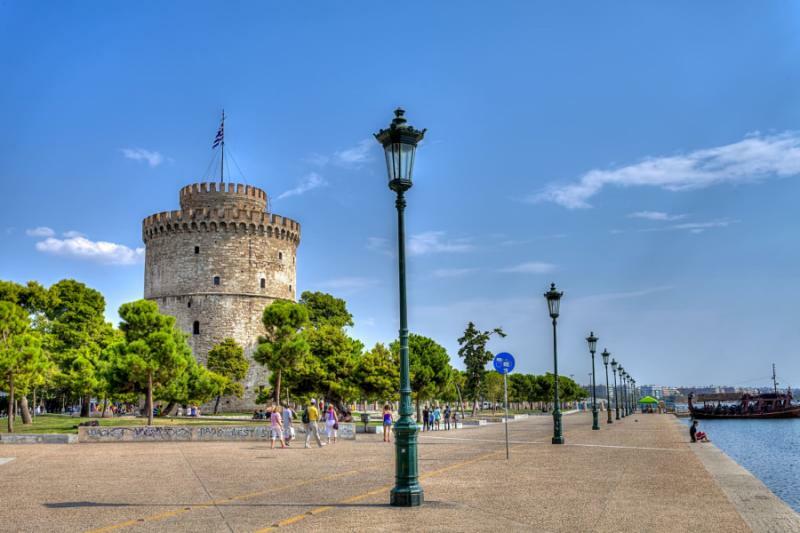 After breakfast, you will make the return drive to Thessaloniki Airport, where a representative accepts the car and you will continue home bringing an end to your best of Greece summer tour.